Glagolic alphabet consisted of 41 letters. 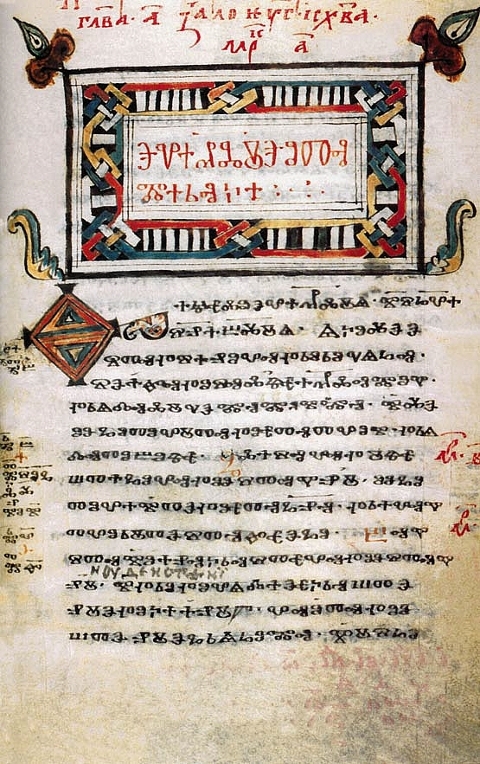 Many of the letters were devised based on Greek, where others were created based on Latin, Arabic / Coptic, Hebrew and some other not still determined languages of the time. 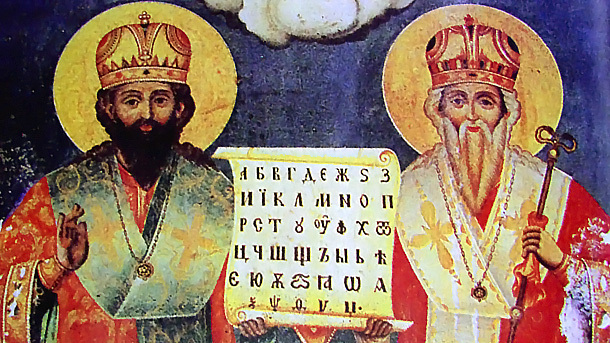 According to some modern research 5 pupils of st. Cyril and Methodius – st. Clement,Nahum, Gorazd, Savva and Angelarius re-formed Glagolitsa and create Cyrillic alphabet used to these days among about 450 000 000 ppl around the world. Because Cyrillic was easier for writting with time last Glagolitic manuscripts started to disappear around the middle age XV-th century. St. King Boris – The Baptizer of Bulgarian lands accepted st. Cyril and Methodius pupils and created 2 early Spiritual / Enlightenment Schools in Preslav and Ohrid. In this two spiritual centers many Church books were copied / transcribed. Many of the translations of Holy Scriptures and Living of the saints made in Preslav and Ohrid are nowadays influenced Church life in Russia, Serbia and Romania. 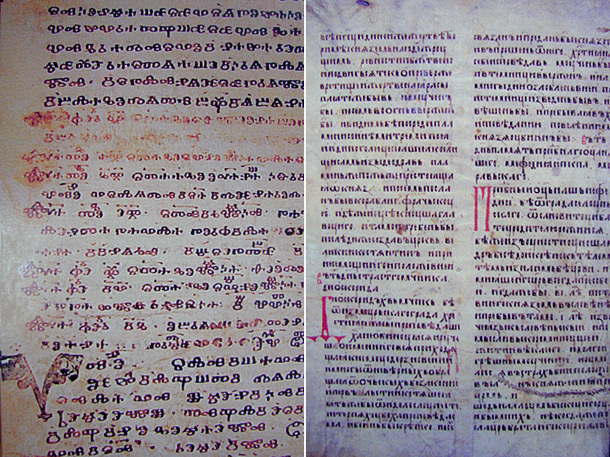 Some of the original manuscripts produced in there are nowadays kept mainly in Russia and Serbia. Celebrating of 24-th of May as a national and Church feast of Bulgarian Enlightenment and Bulgarian Culture started as such in the pre-liberation from Ottoman Turkish slavery period around y. 1852. According to some historical documents the feast was first celebrated on 22 of May in still "unliberated" Bulgarian Church (which at that time belongs to Greek Patriarchy). Initially the feast was celebrated on 11th of May as one feast both celebrated in Church and nation. Later after secularization period since 1969, two feasts developed one Church official in 11-th of May and one nationwide in 24-th of May. The feast 24-th of May is celebrated on this date since 1969. Today though Bulgarian Orthodox Church marks the remembrance of holy brothers st. Cyril and Methodius on 11-th of May. Every 24-th of May there is a Holy Liturgy served asking God to bless Bulgarian nation and grant us good nation health and success in all good knowledge. In relation to Bulgarian Liberation period, there was need for writing a secular Hymn for the feast. In City of Ruse in y. 1892 Stoyan Mihailovski then a teacher in High School writes a hymn which is well known and sign even by this day by Bulgarians – the infamous "Ð’ÑŠÑ€Ð²Ð¸ Ð½Ð°Ñ€Ð¾Ð´Ðµ Ð²ÑŠÐ·Ñ€Ð¾Ð´ÐµÐ½Ð¸" / "Walk straight, oh renewed nation". Ð¥ÐžÐ "Ð‘ÐžÐ”Ð Ð Ð¡ÐœÐ¯ÐÐ" – Ð’ÐªÐ Ð’Ð˜, ÐÐÐ ÐžÐ”Ð• Ð’ÐªÐ—Ð ÐžÐ”Ð•ÐÐ˜!